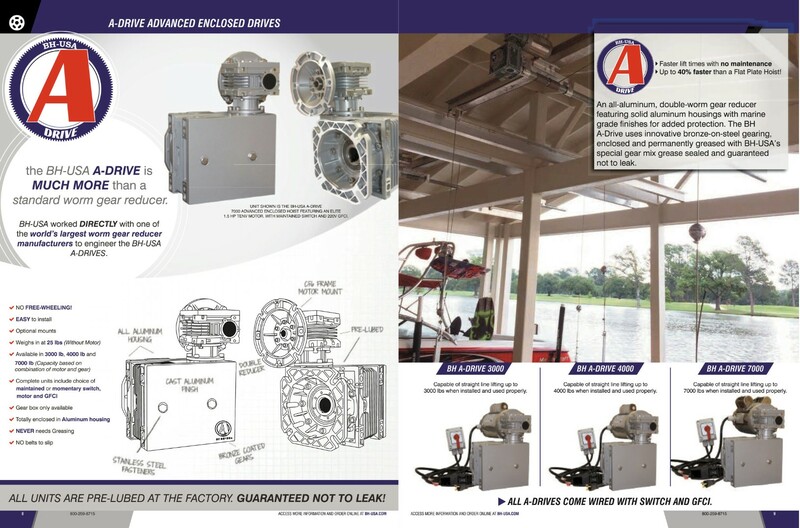 The 7000 lb A-Drive Enclosed Boat Lift Hoist is much more than the standard worm-gear reducer most lift companies offer. 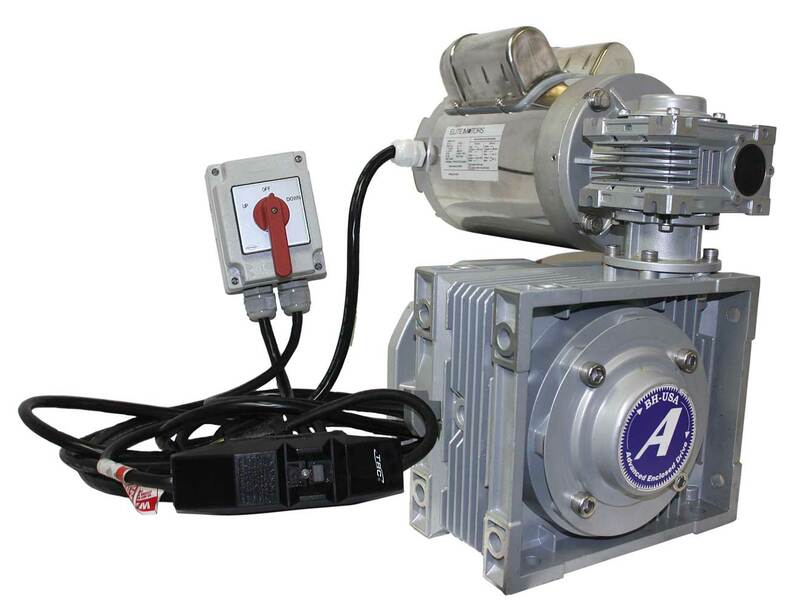 BH-USA worked directly with one of the world’s largest worm gear reducer manufacturers to develop our BH-A Drives. They tested them against the competition and can guarantee no free-wheeling! The BH-USA A Drive is easy to install with the optional mounts, and weighs in at 27 lbs (without motor).